Financial health can often affect physical health. Making sure you take into consideration this financial health is crucial, and you can help your practice team members focus on their financial health as well. Your financial wellness is just as important as your overall health, make sure you're treating yourself right. We all know the link between good oral health and overall health – it’s something dental professionals like you remind your patients about regularly, as part of being a quality, conscientious practitioner. But here’s something to think about on your own account when it comes to holistic wellness. Your physical health is also affected by your financial health, and if you’re like many Americans, the stress makes you more distracted, less productive and less inclined to do the things that help you fight off the negative effects – like exercise and regularly brushing your teeth. About 40 percent of Americans don’t have enough put aside to cover even a $400 emergency. And debt is a huge problem, especially for student loans, now at $1.53 trillion and growing. But it’s healthcare professionals like you who carry a disproportionate share of the load. The American Student Dental Association reports that 80 percent of the Class of 2018 dental school graduates had more than $100,000 in student loan debt – 40 percent, over $300,000. Dental practices of all sizes can benefit by adopting a holistic approach to wellness that ensures financial fitness is factored in the mix. A variety of resources are available to educate, coach and help you and team members of your practice manage for today and plan for your financial futures. They can be employer sponsored, but low- or no-cost voluntary are valuable, too. The money concerns of a 20-something dental hygienist who would like to be living independently and a 60-something dentist who is looking forward to retirement are probably going to be miles apart. Then there’s the GenX professional who would like to save more for retirement, but first there’s the kids’ college savings to think about, not to mention the big mortgage and aging parents needing some assistance, too. A group workshop on the fine art of budgeting (aided by a handy generic calculator) isn’t going to be all that appealing or helpful, if that’s the only resource offered. Not when the money issues they’re grappling with can vary so much by their ages and individual circumstances. Instead, for younger generations, focus on automated savings for both retirement and emergency funds. For GenX, it might be offering long-term care planning, and for older populations, how to budget for healthcare costs in retirement. It’s not just the life-stages of the people in your practice that matters, especially for something as personal as money matters. People need to be comfortable with how they’re able to access resources to utilize them fully. Baby Boomers, for example, tend to prefer one-on-one coaching, but will also go to online resources for assistance in preparing for retirement. GenXers juggling money management issues around their children and parents will appreciate digital resources, like websites that offer basic money courses. And millennials, with their student loan debt, prefer mobile debt management and consolidation tools and resources. There are three universal areas where most of us need some sort of help: Managing and getting out of debt, learning how to protect our assets, and retirement readiness. You’ll find any variety of options out there falling into these categories depending on specific points of pain. 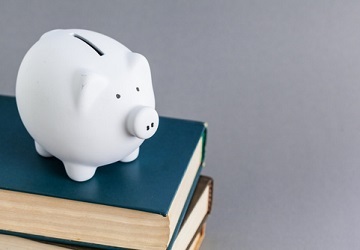 One area to explore might be student loan management/repayment programs, especially if you’re looking to recruit new dental professionals to your practice. And are you up to speed on how much you should put in your retirement account today to build a paycheck for life at 66? Income replacement software tools are available to help. And voluntary benefits such as employee purchasing programs are helpful for big ticket items without incurring hidden fees and interest charges. The easy way to be able to tell that your focus on financial wellness is paying off is to ask. People will tell you what helps and what doesn’t, and you can fine-tune from there. There’s a strong link between financial stress and absenteeism, too, so monitoring your absenteeism rates will shine the light on your program’s value too. A holistic perspective of overall wellness does more than serve your patients well. When you ensure that financial wellness is factored into the mix, everyone who plays a role in the success of your practice will be in a better position to thrive. Michelle Clark is Senior Vice President, Health & Performance for HUB International. She leads a team focused on helping employees be their healthiest selves so they can bring their best selves to the workplace.